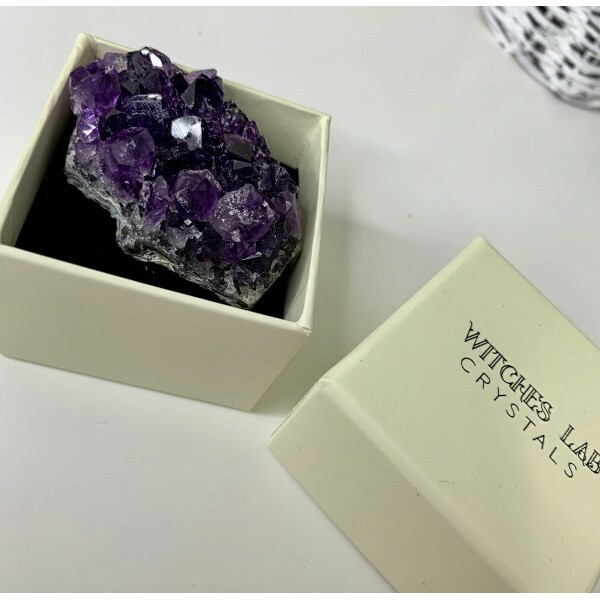 High Grade amethyst cluster in box. 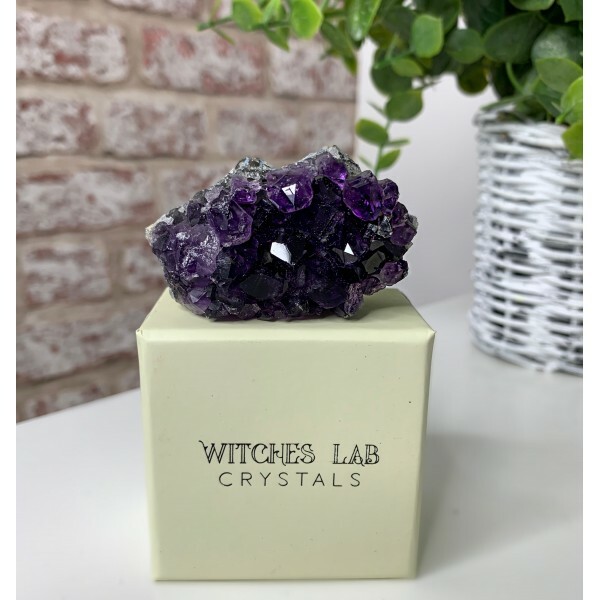 This Amethyst cluster measures around 40mm-50mm it is a beautiful high grade piece of Amethyst. Your Amethyst will come boxed and will include an information card. 30-45mmRose Aura Quartz Heals a broken heart and gives you the strength to move forward.&..